The name changed from The Bank of Kentucky to BB&T Arena in 2015. 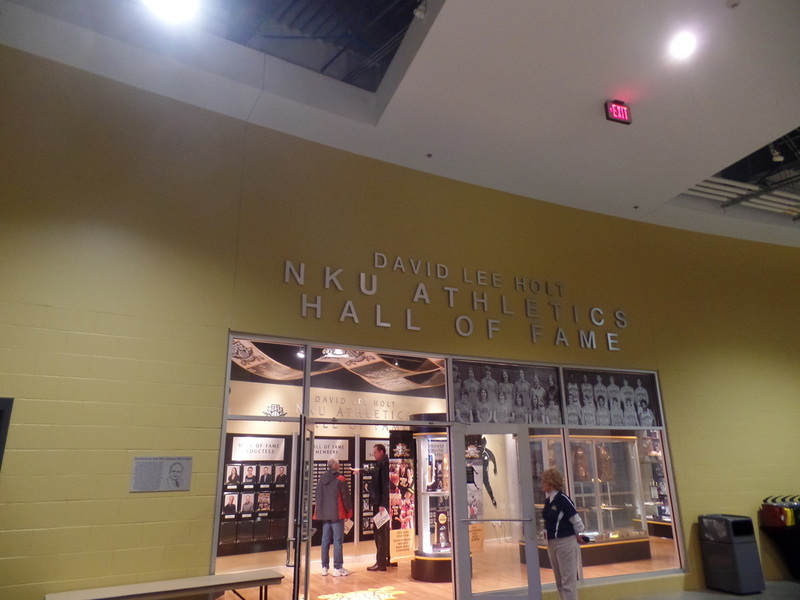 It is located on Northern Kentucky’s campus in Highland Heights Kentucky. The arena holds 9,400 and cost around 60 million dollars to build. The arena made its grand debut in 2008. The arena is used for more than just basketball. You can find plenty of other events being held here throughout the whole year. 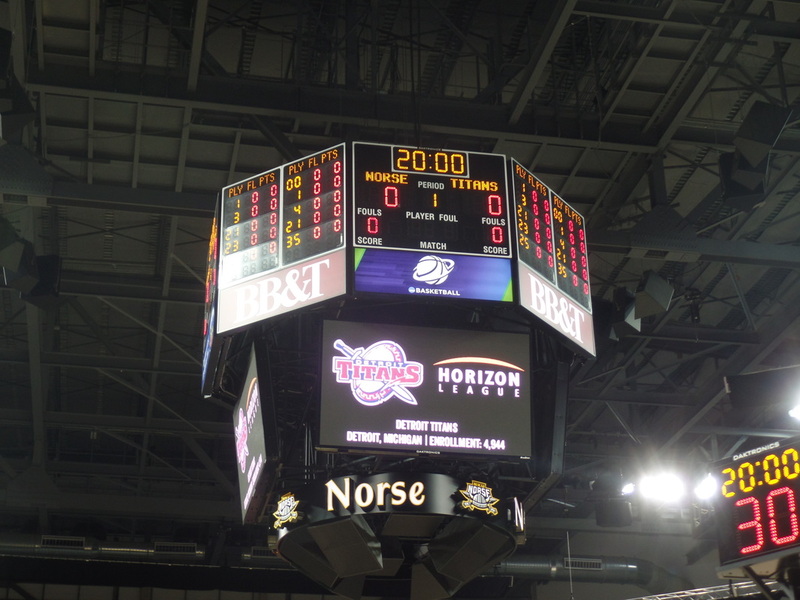 The Norse have a center hung scoreboard that features four video boards, four player stat boards and four general scoreboards that keep time, points, and fouls Below the video boards, that hide all the speakers, they have a ribbon that has the word Norse and the NKU Norse logo. BB&T Arena features two long strips of banner scoreboards (both sides of the arena). In sections 108-109 and 117-118 the arena has a general scoreboard with the score and time. The venue features two levels of seating. The lower level features the 100 section seating. 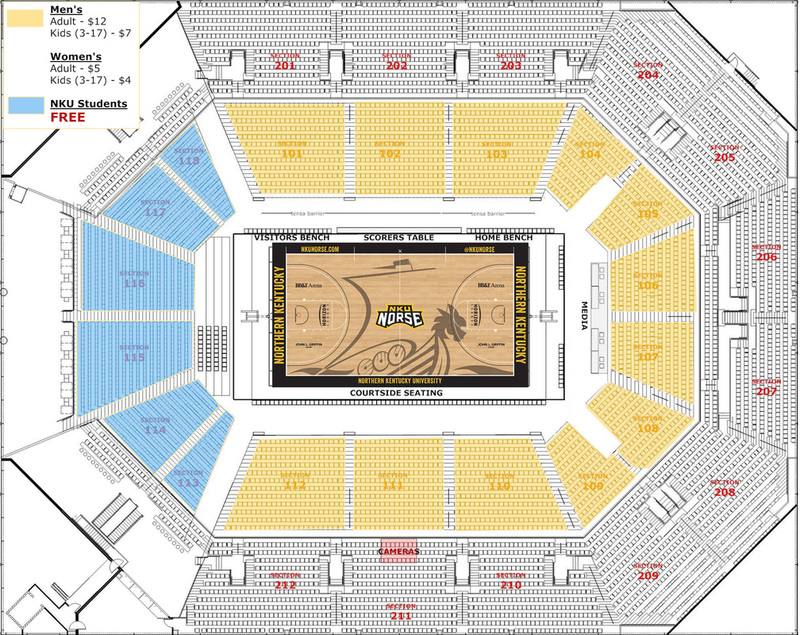 The seats from section 101 to 112 are cushioned chairbacks that are primarily gold with with a touch of black with NKU in the middle of the chair. 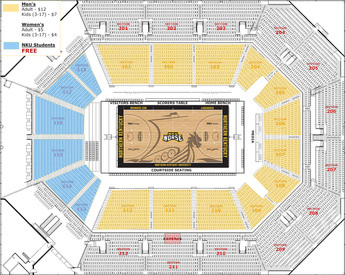 In sections 113-118 are where the student section is located. Here you have black bleacher seating. 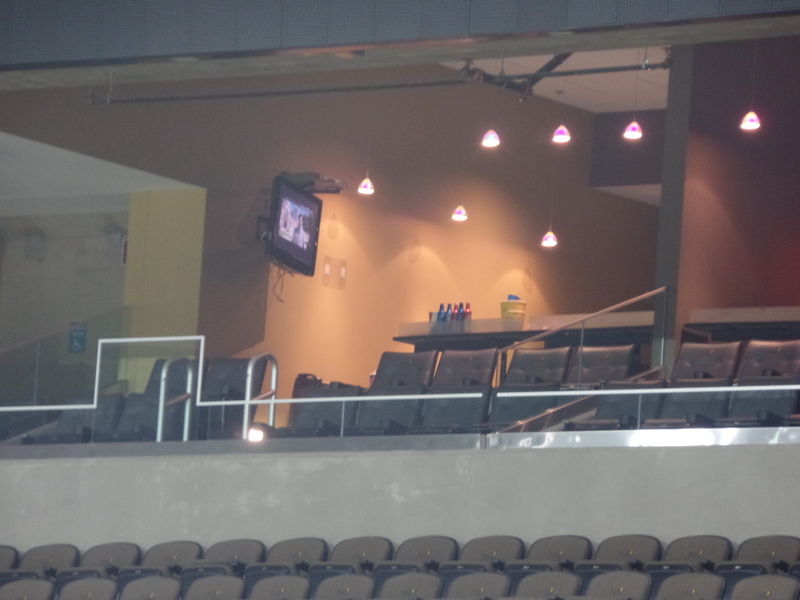 In the lower level they also have 12 suites that feature tickets for 16 fans and four standing room tickets if needed. The suites come with a personal bathroom, HD TV with cable and a refrigerator. Catering is also an option for suite patrons. The upper level extends throughout most of the arena except for over sections 115-116. This level features all black padded chairback seats. The upper level features four party suites that fans can rent out that hold 32-50 fans. 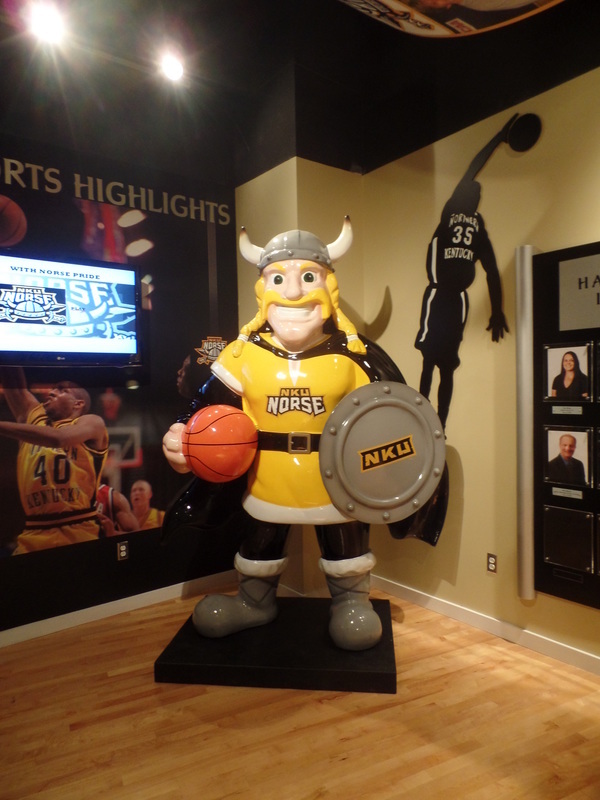 The John L. Griffin Concourse features several things amenities for Norse fans including concession stands, several bathrooms, and the NKU Athletics Hall Of Fame. The Hall of Fame is located outside of section 110. The concourse behind the student section has several corn hole boards setup. 1. Grab a bite to eat. The locals suggest, Billie's Skyline Tavern as a near campus option. 2. Grab a parking spot. There's a parking garage near the arena so you won't have to walk too far if you go straight to BB&T. 3. Take a walk to Lake Norse. Great name. One of the best spots on campus. 4. A must see is Griffin Hall, go inside too! 5. Head to BB&T Arena! BB&T Arena: The trip to the arena started with me forgetting my wallet...luckily I live 15 minutes away. Once I had made it back to the campus (thanks for the clutch parking NKU!) I took a walk around the campus peep that portion of the review just a little further down. Got back to my car grabbed the 2008 laptop that hardly works and went to get my credential. (thanks again NKU!) The most exciting part of a review is when I walk into the arena for the first time. My first reaction was that I thought it would be bigger, this is actually a positive that it wasn’t. The smaller more compact arena that sits nearly 10,000 mind you, is great for college hoops. After sitting and taking in the arena I launched the 2008 laptop…30 minutes later, it was functioning, kinda. Game got started, I notice ex Butler/Iowa coach Todd Lickliter sitting next to me. Great guy, reminisced a bit about the Horizon League back when he was coaching. ​Figured it was time to check out the concourse. The concourse has great potential. I was not expecting a hall of fame and I got one! I’m a sucker for any sort of hall of fame. 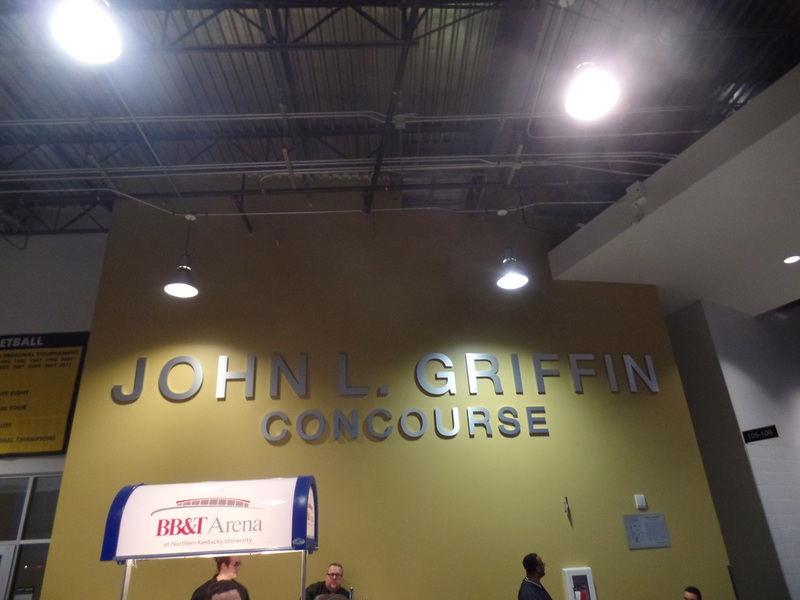 The rest of the John L. Griffin Concourse was nice, had the basics of what I want to see in an arena. The concourse behind the student section could use a slight upgrade. Currently sits as a blank canvas waiting for something, they have a corn hole set already, but lets build off that. Maybe have a permanent concession stand with food geared towards college students, more adventurous and unique food combination. Give a nice standing room section with bar tops there. Make it a gathering ground for college students and other fans that come to the arena. They have the space there for sure. One the walls maybe put up posters of memorable moments at BB&T Arena, something along these lines. The arena is in good shape. I love the different premium seating options. Mid major level schools seem to forget about this when building an arena. Any where I stood in the arena had a good view. I know the Cintas Center, not too far from NKU, gets a lot of attention and rightfully so, but don't sleep on BB&T Arena! Norse fans you have an awesome arena that many schools would love to have. Scoreboard:The bottom half of the scoreboard I really like. The next upgrade to the scoreboard has got to be the old school scoreboards at the top. If they can install the video boards here as well to handle player stats and general scoreboard that would be a great addition. Continuing to add the LED scoreboards throughout the front of the second deck would be ideal in time. It would add another element to Norse games. Overall I am glad to see that the arena has some nice features already. Atmosphere: Intro with the Valhalla was unique. A recent tradition that begins the Norse introductions. 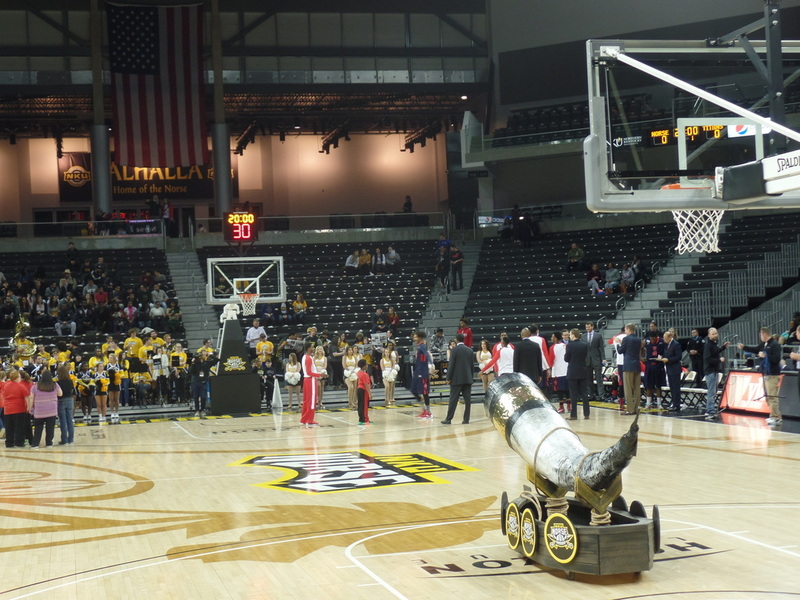 A steady clap starts at the start of the game until the Norse hit there first bucket. The arena was a little over a quarter full, the student section started to get more into the game as the game progressed. Towards the end, when the game started to get close, the crowd started to bring the noise. This program will continue to grow, as will the atmosphere. 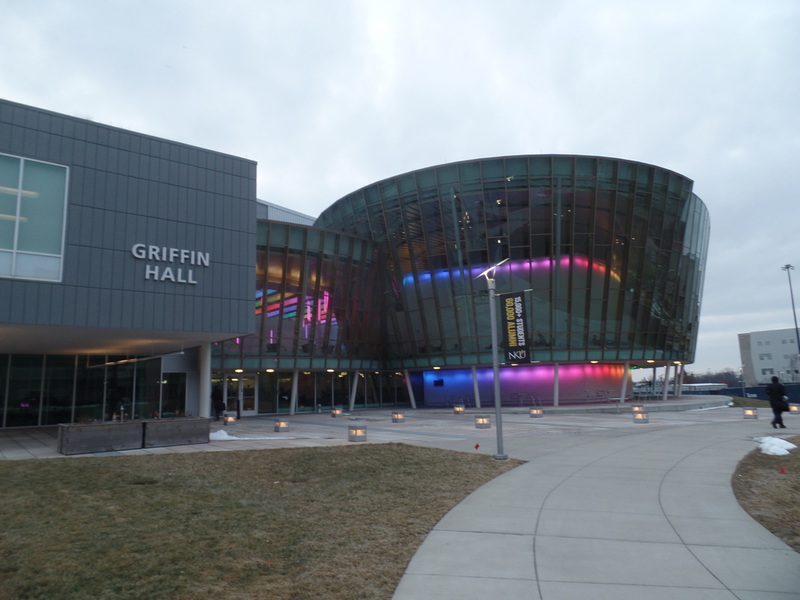 NKU Campus: Located in Highland Heights, Kentucky, just outside of Cincinnati sits the NKU campus. The current campus started in 1972. Nunn Hall was the first building on campus. 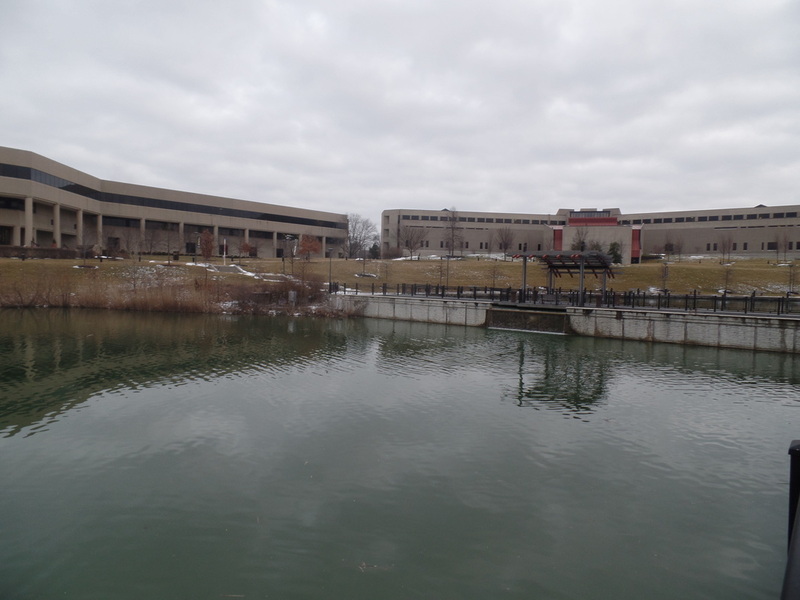 The campus centers around Loch Norse Lake. The Library, Fine Arts Center, Business Academic Center and a few more are located here. One must see building on campus is Griffin Hall. Griffin Hall is home to the College of Informatics. Built in 2011 this buliding came with a high price tag but it is worth it. With a unique look that you won't see on any other campus you will want to see this building on full display at night. 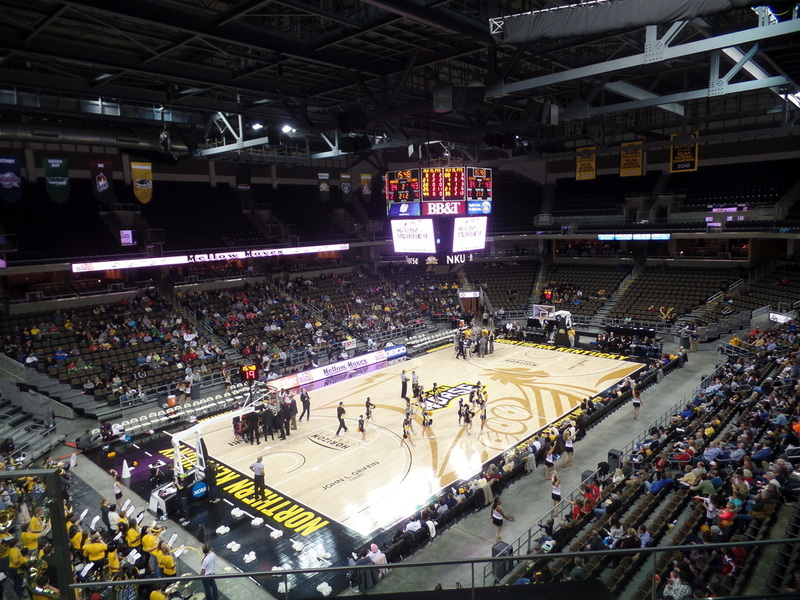 NKU Athletics has done a great job with there sports facilities. The soccer stadium is near BB&T Arena. Stop by to see a solid college soccer stadium. Highland Heights, KY: The small city is just 10 minutes away from downtown Cincinnati. Highland heights has around 7,000 residents. Northern Kentucky University is prominent in the city With General Cable holds its headquarters here as well. Looking for something to eat in Highland Heights? You will find all the general fast food options. Local tastes like Barleycorns and Skyline Chili. But how about a true local, can’t find anywhere else in the US kind of place. Look no further than Skyline Tavern which is right on campus. This a common spots for NKU students and alumni to meet. They serve up tasty beers, burgers and more bar food. One of my favorite spots in Kentucky to grab a bite is PackHouse Meats. If you love meatballs this is a can’t miss place to eat. I went with the three PH Sliders. If you go this route you can try out several different meatballs and sauces. Check out that menu! I have had the opportunity to golf a lot in the area and two of my favorite places to play are Hickory Sticks Golf Club and Flagg Springs Golf Club. Hickory Sticks is off the beaten path as you have to take one lane roads to get to it. The course is set on the rolling hills of Northern Kentucky with plenty of hazards. One of my favorite holes is number 10, an elevated par 4. Nearby you have Coney Island and Riverbend Music Center. Coney Island is known for their water attractions. When you have the world's largest flat surface swimming pools it makes sense why they focus on their water attractions. If you want to visit Cincy check out my in-depth reviews on Cincinnati in my Cintas Center, Nippert Stadium, and Great American Ballpark reviews.